Mount Persis Andesite - Tertiary. Highly altered grey to black andesite breccia. 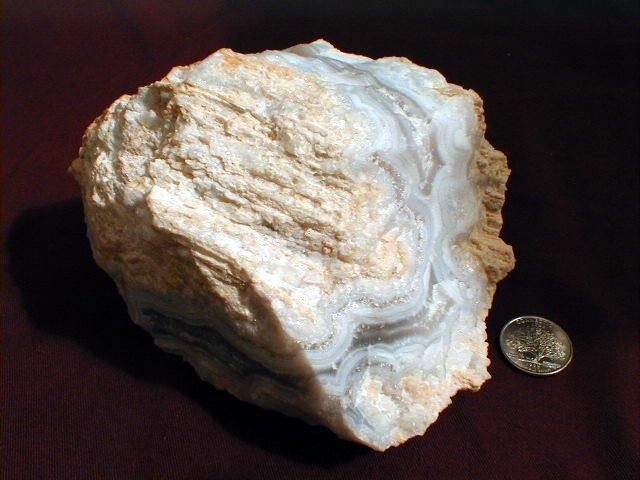 Voids to four feet created by faulting and brecciation have been partially/completely filled by hydrothermal mineralization. Collecting is currently prohibited at this quarry. The perimeter of the quarry is now posted with no trespassing/no mineral collecting signs. 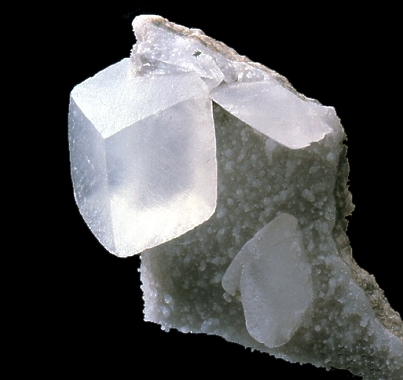 Calcite- CaCO3 - Occurs as weakly fluorescent, sharp, clear to opaque white crystals. Most are etched. 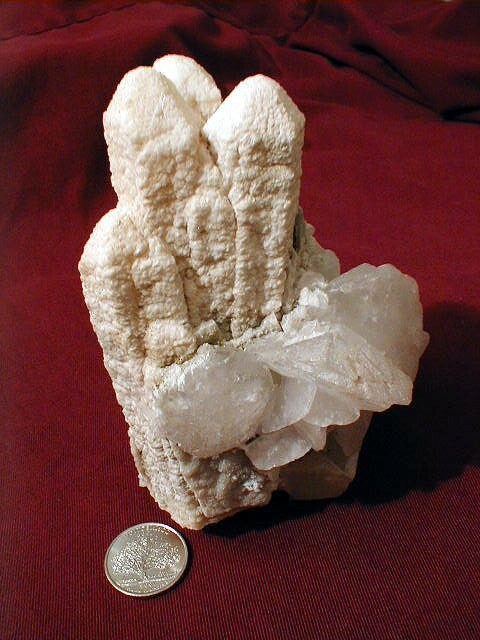 Fine grained calcite (associated with fine grained quartz and Fe carbonate) is pseudomorphic after aragonite. Pyrite- FeS2 - Occurs as late stage druse coating drusy quartz and calcite. 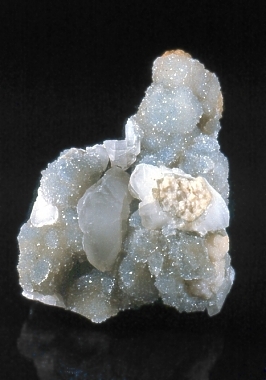 Some pyrite appears to have precipitated along a common side of the earlier formed minerals. 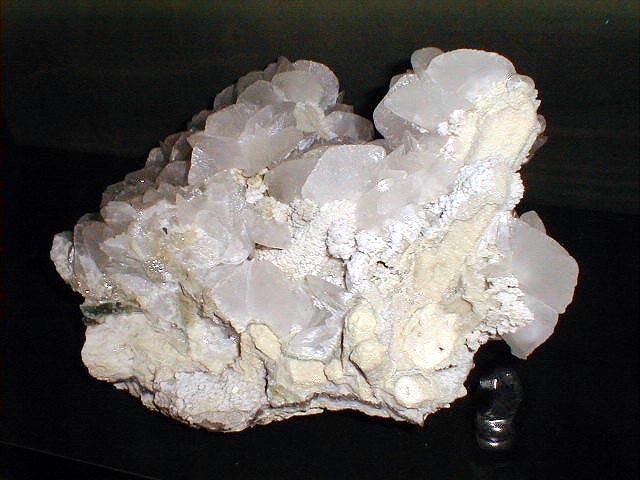 Quartz- SiO2 - Occurs as fluorescent banded chalcedony (blue, grey, brown, white). 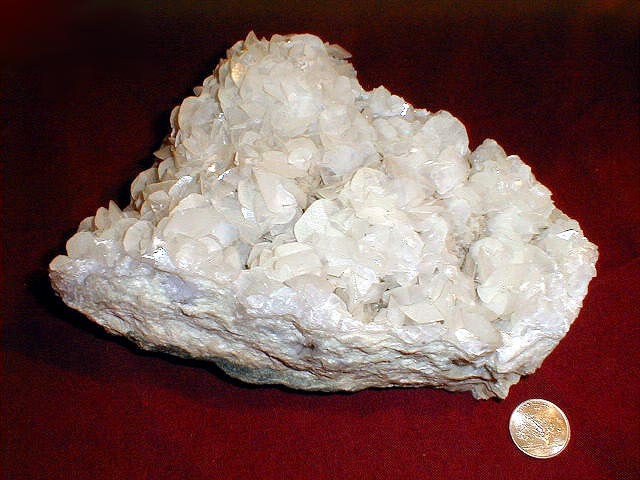 Quartz is also present as drusy (some light amethyst, some sceptered). 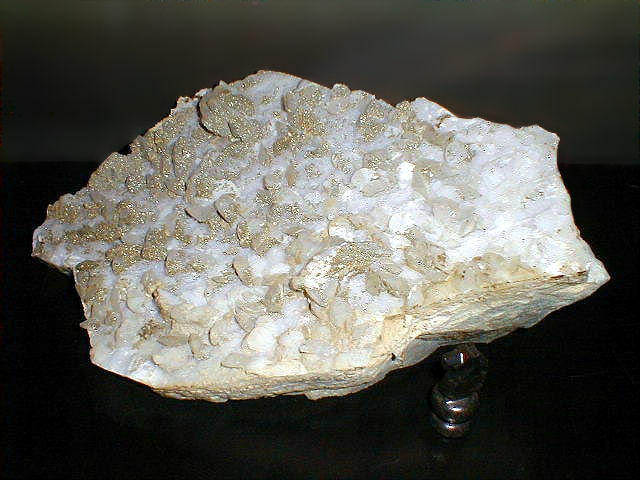 Late stage drusy is gemmy and can be found coating earlier formed calcite crystals.